Filling up the post of Project Director by transfer on deputation basis for the IDA assisted ICDS Systems Strengthening & Nutrition Improvement Project (ISSNIP) in the Ministry of Women & Child Development. 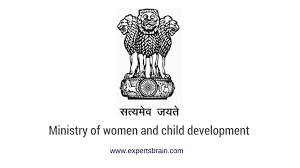 Ministry of Women and Child Development is implementing International Development Association (World Bank) assisted ICDS Systems Strengthening and Nutrition Improvement Project (ISSNIP) in 162 high malnutrition burden districts of 8 States in the country, viz. Andhra Pradesh, Bihar, Chhattisgarh, Jharkhand, Madhya Pradesh, Maharashtra, Rajasthan and Uttar Pradesh. It is being implemented in two phases - an initial preparatory/formative phase (Phase 1) till 30.06.2018 with clearly defined benchmarks, followed by a Phase 2. The project has been restructured with certain modifications in the activities and extension of time frame i.e. up to 30th June, 2018. Phase II of ISSIP is likely to be implemented during the period of Fourteenth Finance Commission i.e. up to March, 2020. To support and manage project implementation, a Central Project Management Unit (CPMU) has been set up within the Ministry of Women and Child Development (MWCD), led by Project Director and staffed by other key government officials. Details of the project are available at http://icds-wcd.nic.in/issnip/home.htm. 2. It is proposed to fill up one vacant post of Project Director in the CPMU by transfer on deputation basis from among the Officers of Central Group ‘A' Services. The initial period of deputation will be for a period up to 30th June, 2018 which is likely to be extended. Phase II of ISSIP is likely to be implemented during the period of Fourteenth Finance Commission i.e up to March, 2020. The pay of officers selected for the posts will be regulated in accordance with DoPT O.M. No. 6/08/2009-Estt. (Pay-II) dated 17.06.2010 and as amended from time to time. Group: Group A of Central Services preferably from the Indian Administrative Service (IAS). Selection method: By transfer on deputation. Eligibility Criteria: Holding analogous posts on regular basis or with five years of regular service in the post in the Level 12 of the 7th CPC Pay Matrix [PB-3 Rs. 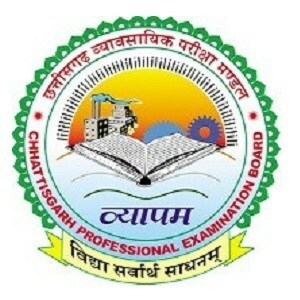 15600-39100 and Grade Pay of Rs.7600 (pre-revised)]. Professional Training in the areas of project planning Project Management. Responsibility: S/he will be responsible for overseeing planning, Management, coordination with the Project States, the World Bank and DEA/MoF; and overall supervision and monitoring of the project implementation activities. 4. The maximum age limit for appointment by transfer on deputation basis shall not be exceeding 56 years as on the closing date of receipt of the applications. 5. Applications from willing and eligible officer who can be spared immediately, may be forwarded through proper channel in the given proforma to the Deputy Director (WBP), Central Project Management Unit, Ministry of Women and Child Development, 3rd Floor, Jeevan Vihar Building, Sansad Marg, New Delhi 110001.